Frequent readers of this blog will be familiar with the story. Mike had a business trip, this time to San Diego, and got up early to go birding before his meeting. With a little advance planning and internet search, he found a location where an interesting bird had been spotted recently. 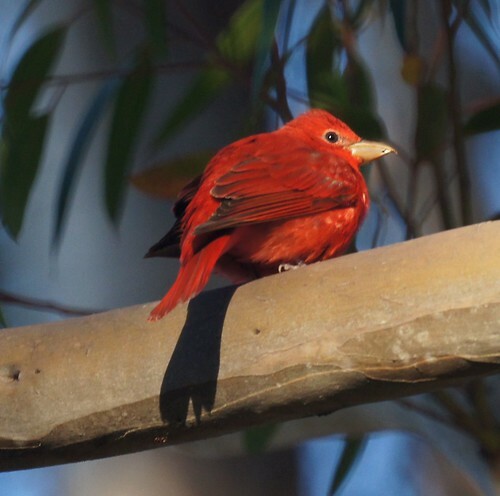 This time, the bird was a summer tanager. A special thanks to SDBIRDS and Wendy of San Diego for describing the location of this bird.